Abernathy & Smyth Publishing House is proud to announce that Jesse Boleyn's new novel, "The Temple of Transparent Walls" to be released in seven international languages. New York, NY, March 04, 2019 --(PR.com)-- Abernathy & Smyth publicist, Erin McHugh, announces American songwriter and author Jesse Boleyn to have his new action/adventure thriller, "The Temple of Transparent Walls" translated into seven international languages. The audio book is also currently under production and scheduled to be released in April, 2019. Writing under the pen name J.R. Boleyn, the longtime musician says, "The transition from songwriting to writing novels is a natural extension of my passion for storytelling. It takes many hands to cross the river of imagination and I couldn't do it alone. I am especially grateful for the support of my peers and a great team helping bring my vision into reality." Owner of AVA Interact, Inc., one such peer is legendary Lou Reed and David Bowie guitarist and six-time Emmy nominated film composer, Chuck Hammer. Hammer offers this insight. 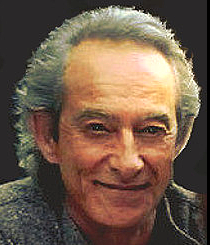 "Jesse Boleyn is a remarkable American songwriter and author. His work is intuitive, visionary, multi-level and beautifully fun. I have worked with him on a number of key projects across four decades. He brings insight, professional focus, and often hits the nerve of extraordinary creative work." When asked to describe his motivation for writing the book, Boleyn replied, "Since early childhood I have been afflicted with an incurable curiosity about the true history of our world. I'm always lured by a good heist. With overwhelming evidence contrary to what we are currently presented with, I took a deep dive into aspects of ancient apocalyptic myths and their possible correspondence to modern real world events, primarily those evident in the Sumerian and Mayan record passed down through the ages that bring the evolution of our humanity into question." 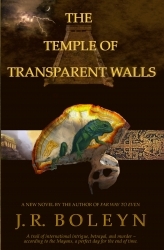 "The Temple of Transparent Walls" is currently available on Amazon, Goodreads, and Barnes & Noble online.